• Structure ID: NBI: 37009. • Location: River Mile 315.7. 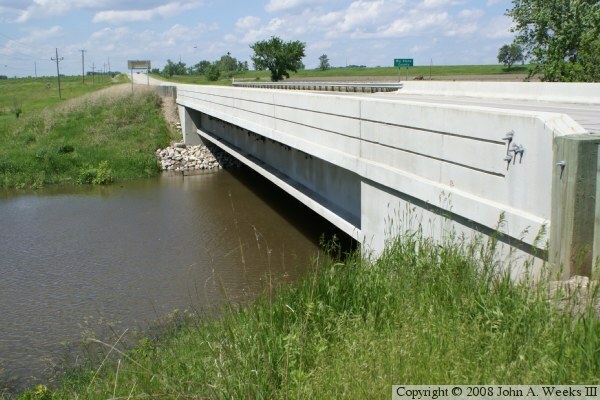 • Bridge Type: Prestressed Concrete Girder, Concrete Deck. This bridge is the northernmost of two bridges on US-75 on the downstream side of the US-75 Dam. The dam blocks not only the Minnesota River, but several other small rivers and streams. The historical path of the Minnesota River happened to be along the north side of the valley. As a result, the Minnesota River channel is actually located about a mile and three-quarters north of the main outlet of the dam. The dam has a small valve and outlet pipe located at the location where the Minnesota River channel once crossed the path of the dam. This allows for a small amount of water to be sent down the main channel of river. This flow feeds a large wetland area. There was at least one bridge in this location prior to the current bridge. 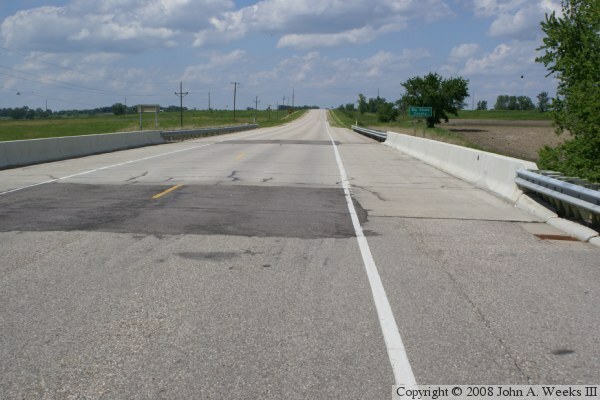 US-75 was designated as an official US highway in 1920, and was paved by 1940, so there could have been more than one previous bridge in that time. 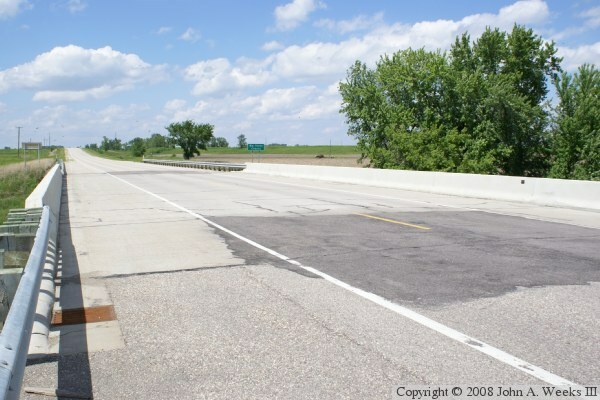 The US-75 roadway through Minnesota is designated as the historic King of Highways route, named after an autoroute that predates the US highway system. The current bridge was built in 2001. Is is a very standard and very modern prestressed concrete girder bridge with concrete deck and the modern style concrete guardrails. The bridge is all business with no decorative elements other than two lines cast into the concrete and angled corners on the ends of the guardrails. Despite the lack of detail, the bridge looks very nice in this setting, and it should last for 100 years or more with limited maintenance. The photo above is looking north down the length of the bridge deck. The photo below is the upriver west face of the bridge as seen from the southwest corner of the structure. The highway signs on the far side of the bridge mark the southern border of Big Stone County. The photo above is another view looking north down the length of the bridge deck, this time, as seen from the west side of the highway. 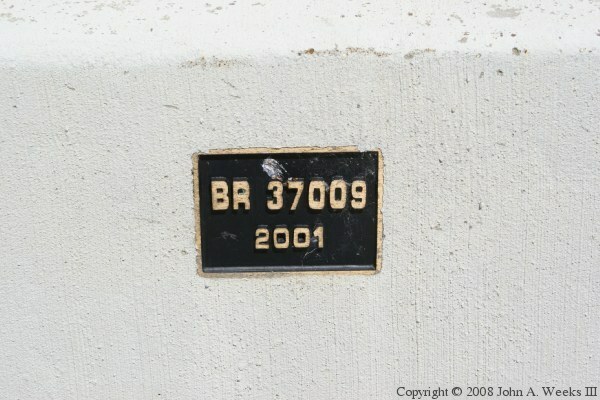 The photo below is the bridge plate.